Waterford will release an automatic software update on December 17, 2018. See what’s in this release in the list below. If you have any questions, our Support Team is always happy to help! We released two new reports in Waterford Manager: Class Progress Report and Student Weekly Progress Report. This report displays the progress towards the end of-year goal for all students in your classroom. Teachers can filter this information by Current Week, Last Week, Last Two Weeks, Last Month, and Custom Dates by Week. 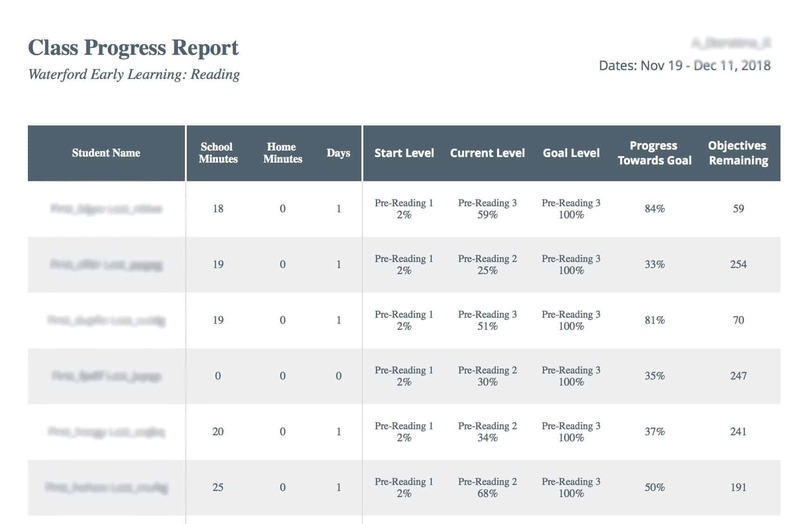 The Class Progress Report lists each student’s Start Level, Current Level, and Goal Level, as well as the percentage of their goal completed and how many objectives they have left. It also shows how many Days, School Minutes, and Home Minutes each student has spent on course activities. 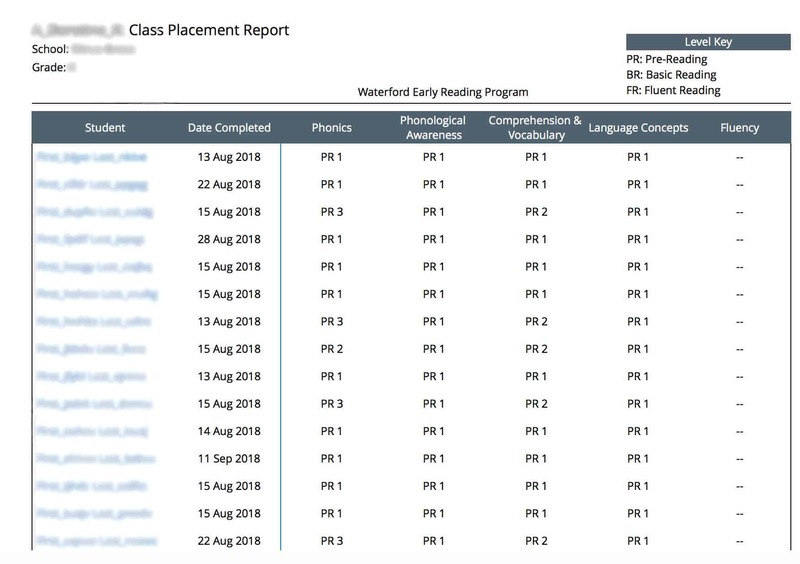 This report displays the same information as Class Progress Report but allows teachers to select a single student or multiple students within a class at a time. 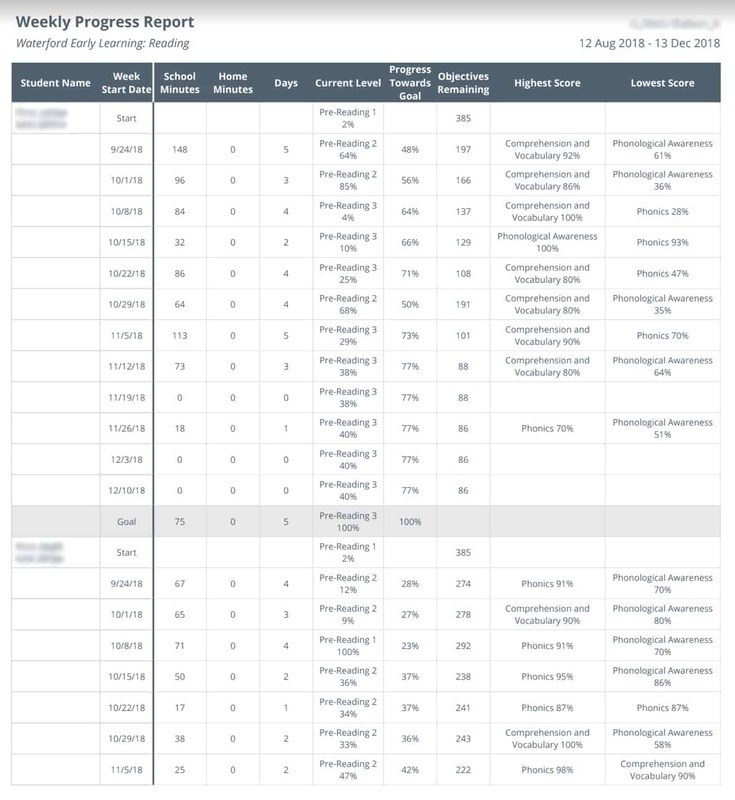 Teachers can also sort this information by the same date ranges as Class Progress Report. Both new reports are printable and can be exported as a PDF, Excel, CSV, or Word file. We added a new feature to Completion Reports in the Waterford Manager on the district, school, and classroom level. Previously, users could only view the number of students in each Completion Level category. 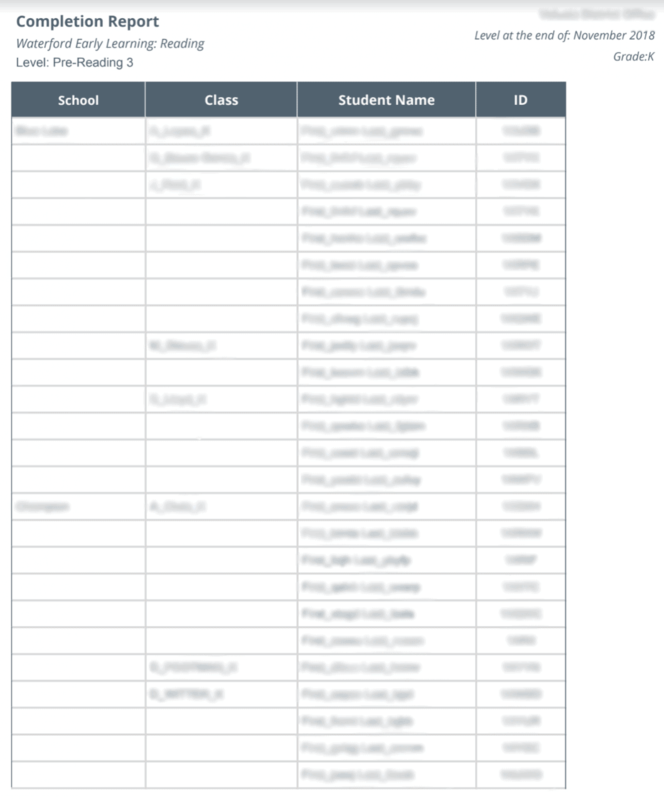 By clicking on a number, the Completion Report will now generate a list of student names in that category along with their individual IDs. School districts who use a rostering system may see duplicate student names listed throughout the report. This is because students may be assigned to several different Waterford courses. 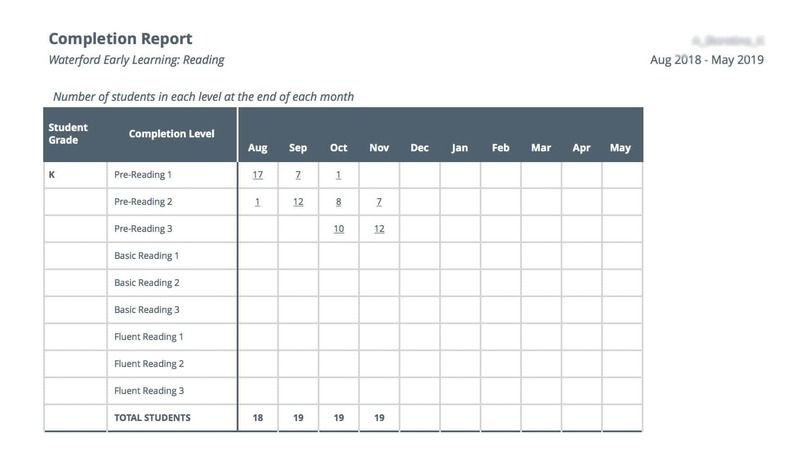 The Completion Report will list the levels for each course the student is assigned to for rostered districts. We updated the Placement Report scoring key in the Waterford Manager. The report previously displayed numerical score ranges that corresponded to a Difficulty Level for each child.